Since it is the end of the year and everybody seems to be doing a list. I thought I would jump in with one of my own. Please understand, I am writing this from my point of view as a follower of Jesus. If that is not the path you follow I pray after you have finished reading some of the arrogant sting of the so-called Christian faith will have been removed. The Creator of this universe is far bigger then any self described human made faith or set of beliefs. 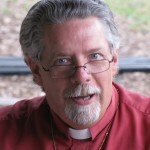 Episcopal Bishop John Shelby Spong. Further, the Bible was written by individuals to promote their own evolving spiritual beliefs. Many of the authors were severely limited by culture and their lack of scientific knowledge. I believe that it is important to recognize that many biblical passages contain factual errors and that many do not reflect accurately or consistently the will of God. Of course, in order for one to know this or conclude this, one has to do the hard work of studying the Bible for oneself. Own your Bible, don’t rent it from the church. In addition, this means one needs to read a variety of scholarship on this collection of sacred text as well. This can be a difficult challenge since many people are like lightning and take the path of least resistance. Over the years Fundamentalism has turned God into the ultimate magician. God will fix that, do this, heal this or that. This alone has set up the war between faith and science. God created us with a mind and the ability to think. As we learn and grow we can, and will, do more things that seem astounding. Jesus is quoted at one point saying, “These things I have done you will do and even greater things.” Yup, that will happen when we use our God-given brains to think. In my 28 years I have never commented on a blog before however now I feel the the need to do so. I greatly enjoyed reading through your posts. You have both touched and helped me to understand. Thank you for your kind words and thoughts!